PARIS – Some of the Notre Dame Cathedral’s most priceless treasures, including a relic known as the Crown of Thorns many believe was worn by Jesus Christ, have been saved from the massive fire that ripped through the world-famous church, French authorities said early Tuesday. 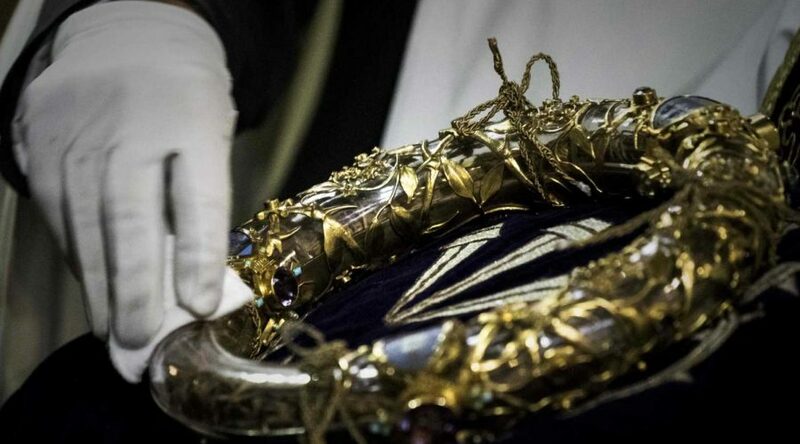 It’s unclear where the Crown of Thorns, considered by some to be the French equivalent of Britain’s Crown Jewels, was stored in the heavily damaged church. Notre Dame spokesman Andre Finot told reporters that several of the church’s prized items were stored in a vault that he believed would be safe from the fire’s ravages. Saint Louis’ tunic is a relic made of linen that belonged to King Louis IX, the king of France from 1226 until 1270. He carried the Crown of Thorns into Paris in 1239 while possibly wearing the tunic. The recovery of the artifacts is the latest bit of optimism for French officials and Notre Dame aficionados around the globe, who have been watching intently since Monday’s fire laid waste to large swaths of the church’s heavy timber construction. Initial reports from French leaders painted a dour picture of the 12th-century Cathedral’s chances for survival. More than 400 firefighters battled unusual and grueling conditions that defied modern-day firefighting techniques, experts said. Bryant and others say the combination of a structure that’s more than eight centuries old, built with thick, bone-dry wood beams amid soaring open spaces, and a lack of fire-protection systems left firefighters with few options. The first photos from inside Notre Dame, released Monday night, showed heavy smoke, fire and water damage to the cathedral’s venerable altars and other areas.